Since 1985 CompuCraft has been providing custom precision Sheet Metal Fabrication & Machining to the greater Philadelphia area. CompuCraft is an ISO 9001 Company certified manufacturer. We are a stainless steel fabricator in Pennsylvania and have developed an expertise in sheet metal forming for the electronics, pharmaceutical, instrumentation and process equipment industries. Looking for a metal fabricator that also does 5 axis machining and all types of metal finishing under one roof? That's CompuCraft! 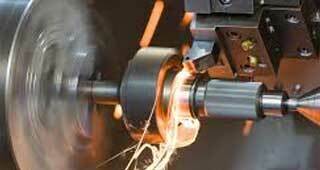 We can offer you precision machining services, surface grinding and a full range of CNC milling processes. For over 30 years, CompuCraft machinists have been making precision metal parts cost effectively. Our CAD engineers can assist in making sure designs are optimized for manufacturability. 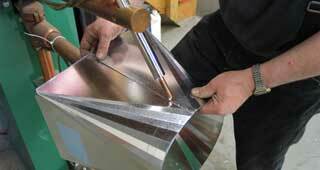 Few metal fabrication companies near Philadelphia have the welding expertise found at CompuCraft. We offer basic spot welding services, Heliarc (TIG) welding as well as more complex cryogenic welding. 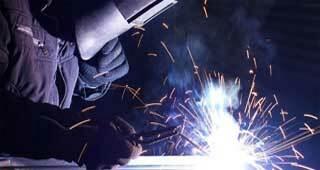 Our welders are certified in GTAW, PED, MIL-STD-1595A, NAVSEA and more. Some unique assembly projects may require our brazing services. Compucraft is the best source for complete manufacturing of your parts. We can accommodate requests including but not limited to: plated finish, in-house powder coating, engraving, silk screening, heat treating. Since our founding in 1985, we understand that it takes dedicated people to consistently make quality products. We strive to maintain a safe, clean, and positive workplace to attract and retain the skilled employees required to complete the precise quality work that our customers expect from us.